Circle K (formerly Topaz Energy) has announced that Murphy’s Service Station, Castletownbere, Co. Cork has rebranded to Circle K Express, as the rollout of the new brand in Ireland continues. The newly rebranded service station will host a ‘grand opening’ to take place from 2-5pm on Thursday, 14 February. Circle K officially launched in Ireland in 2018, announcing significant investment and job creation in the Irish market as over 420 service stations will be rebranded with all Topaz canopies and Re.Store convenience stores changing to Circle K.
To celebrate rebranding to Circle K, sites are hosting official ‘grand openings’, with special offers both instore and on the forecourt for a limited time at selected Circle K sites nationwide. Dates and times of grand openings may be subject to change. Customers are encouraged to keep an eye on the Circle K Ireland Facebook page for further details. In 2016, Topaz was purchased by Canadian convenience store group Alimentation Couche-Tard (ACT), one of the world’s leading convenience retailers. Circle K is the global fuel and convenience brand of ACT and it is the largest and strongest brand owned by Couche-Tard. 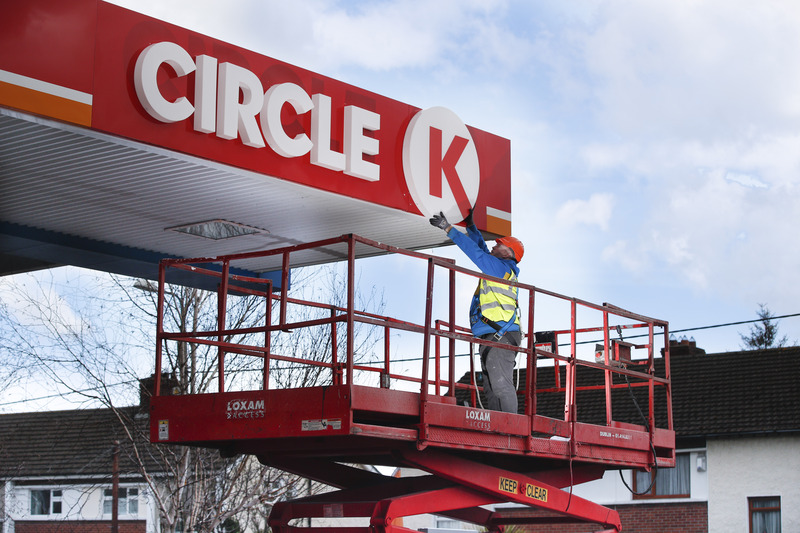 Topaz now Circle K Ireland is joining an international network of fuel and convenience retailers where its customers can continue to enjoy the best quality products and services.